Five western tourists have been banned from leaving Malaysia for “disrespecting the spirits” by stripping naked at the peak of sacred Mt. Kinabalu. Local officials have blamed the group for causing Friday’s earthquake, which killed at least 16 people. 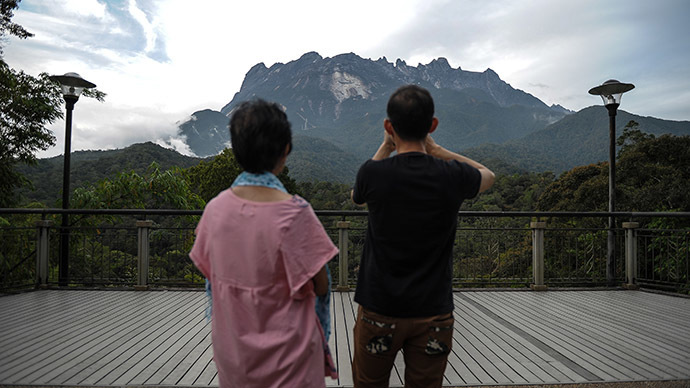 Friday’s 6.0-magnitude tremblor, centered in Malaysia’s Sabah state, stranded more than 130 climbers from 16 countries on the Mount Kinabalu. The UNESCO World Heritage site also suffered from landslides. Tourists from the US, Philippines, the UK, Thailand, and Turkey were on the mountain at the time the quake struck. READ MORE: Stuck in Japanese lift during quake? No problem – water and toilets to be inside!